Hi! My name is Germaine, or as I go more often online, Noirbriar. 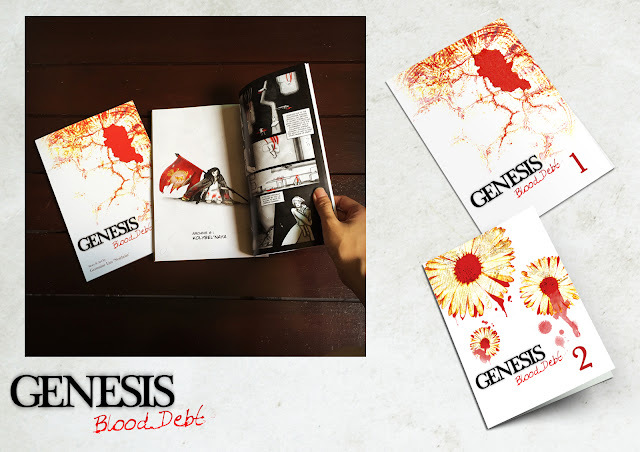 I am an little artist in tiny Singapore with a day job and make art, illustrations and comics off my shift. That includes daily doodles on my social media such as FB and Instagram while I post web comics online free to read monthly. 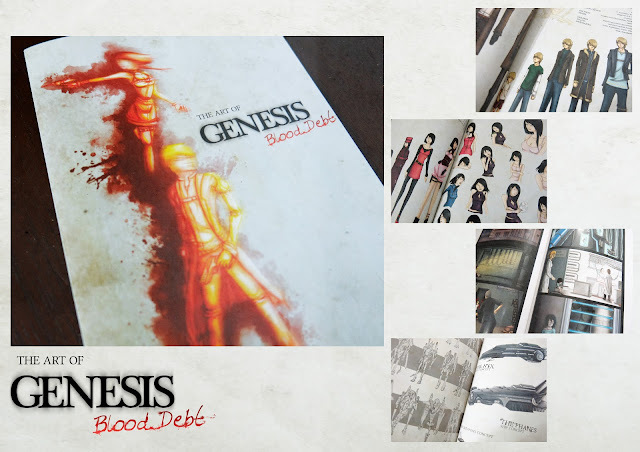 GENESIS Blood Debt and Ghost cafe are creations of mine over the years. 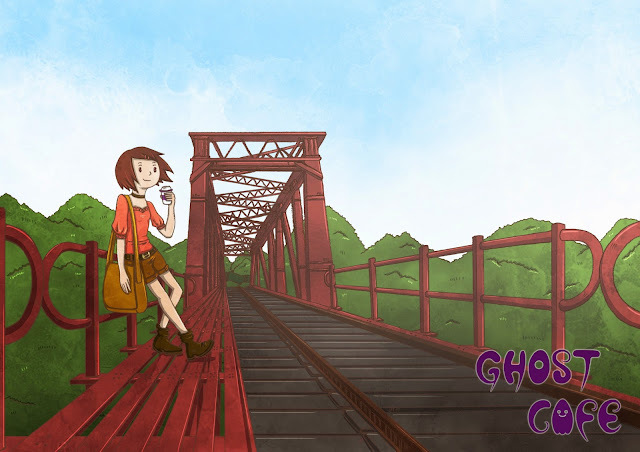 As a indie comic artist producing her own content while juggling my day job. One, as an experiment for me to try something serious and of the sci-fi, action genres, a serialisation storytelling.The other, something fun and closer to home here in Singapore. You can read more about the series down below.And hopefully you will support an artist who simply wish to share her comics and what she loves to do. The idea of a comic revolving around a cafe starting during my stint as a server. 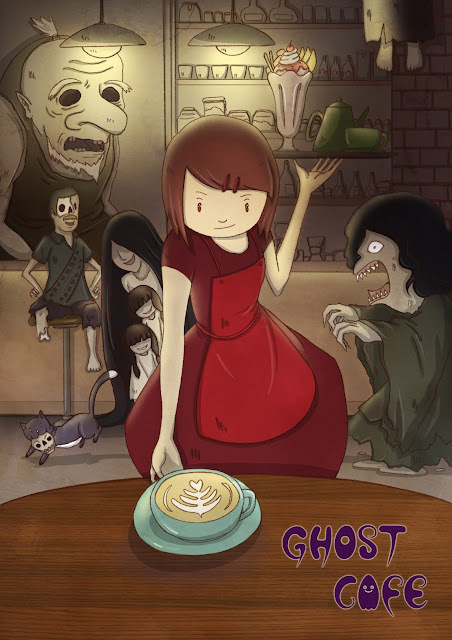 Which later evolved into something more personal.Closer to home with local places in Singapore, the stereotype customers, a crazy management as well as my love for horror and cute things. This comic is mainly about having fun. With the new age, one cafe in Singapore has turned towards the trends of cafe-hopping and food blogging. Only, the customers in the cafe are little… special. Patricia, a fresh graduate, has left the grind of office life in search of greener pastures. 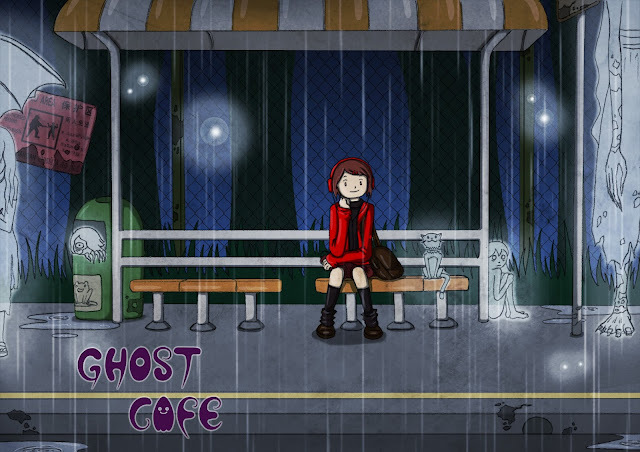 She ends up in a very special cafe, where the customers and bosses are … well, ghosts. Monthly or more on the FB Page of comic strips as well as illustration, sketches and concept art doodles. This Comic series that spans over 5 Archives has been a decade long work of mine that I've been trying to create as I improve my art.With Archive 1 & 2 of the protagonists' Dwayne and Lucine's completed, I hope to make the remaining story a reality with your support. Both online and printed self-published versions will be made available for all to read. In the hopes of saving a dying world, humanity, driven to the brink of ruin, has sought to replace what was lost by creating replacements via genetic engineering. Their dabbling had backfired, leading to events that resulted in the First War. We see through the eyes of two borne of the events via the GENESIS project, who will face their villains, the project's victims and ultimately their own personal demons. Monthly pages on the FB Page of sketches and work thus far as well as illustration sketches and concept art. So thank you for looking at my works and your support goes a long way for a tiny artist and I hope you will embark together with me on this creative journey! -Shoutout and credits to you!